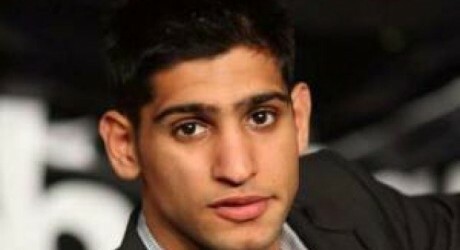 Famous Pakistani origin British boxer Amir Khan was attacked while he was traveling in his car and he was later tortured by unknown people. According to British media, Amir Khan was heading towards in house in Bolton, Manchester that his car suddenly hit another car due to wrong turn and speed after which few people chased and stopped him and later tortured him. After the accident, these unknown people hit several punches to Amir Khan and then ran away after which Amir Khan telephoned the police and informed about the accident. The police said about this matter that it seems the driver made wrong turn which affected the car coming from behind which later resulted in their fight. But they are currently investigating about the matter. They haven’t arrested anyone nor an FIR been registered yet.